MIAMI, September 18 – The Miami HEAT announced today that they have re-signed guard Dwyane Wade. As per club policy, terms of the deal were not disclosed. Wade, a three-time NBA Champion with the HEAT, has played 14 seasons in Miami, appearing in 876 regular season games (845 starts) averaging 23.4 points, 5.7 assists, 4.8 rebounds, 1.64 steals and 35.4 minutes while shooting 48.6 percent from the field. The 12-time NBA All-Star is the HEAT’s all-time leader in points (20,473), field goals made (7,426), free throws made (5,226), double-figure scoring efforts (829), assists (5,009), steals (1,433), games played, starts and minutes played (31,027). He also ranks among the HEAT’s all-time leaders in blocks (2nd, 774), total rebounds (4th, 4,197), defensive rebounds (4th, 3,110), offensive rebounds (5th, 1,087), double-doubles (5th, 122), three-point field goals made (7th, 395) and field goal percentage (8th, .486). 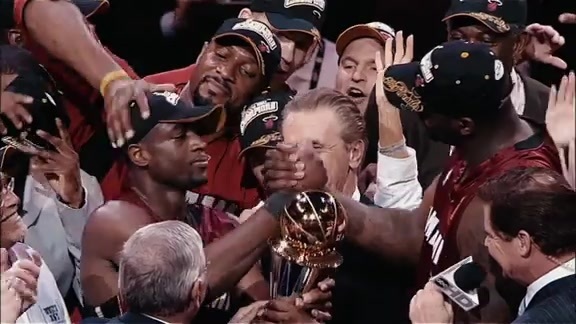 Wade, the 2006 NBA Finals MVP, has appeared in 171 career postseason games (166 starts) with the HEAT, averaging 22.6 points, 5.3 rebounds, 4.9 assists, 1.57 steals and 38.1 minutes while shooting 47.6 percent from the field. He has appeared in 31 postseason series for the HEAT, the most by any player in team history and his 3,954 career postseason points are the 10th-most in NBA history. 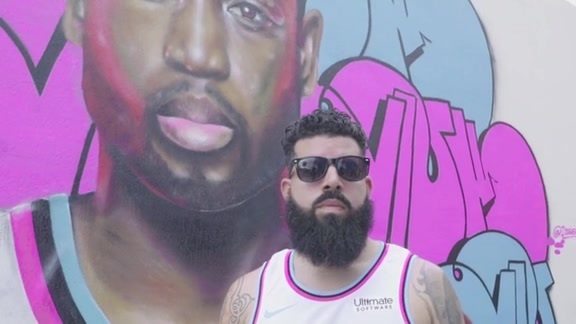 In addition to being the HEAT’s all-time postseason leader in points (3,864), rebounds (898), assists (846), steals (268), field goals made (1,418), free throws made (931), double-figure scoring games (166), 20-point games (109), 30-point games (34), 40-point games (7), dunks (179), minutes (6,507), games played and games started, he also ranks among Miami’s all-time playoff leaders in blocks (2nd, 167) and three-point field goals made (3rd, 97).